We live in a digital world where everything is becoming faster and more convenient. Why should your HCM software solutions experience be any different? 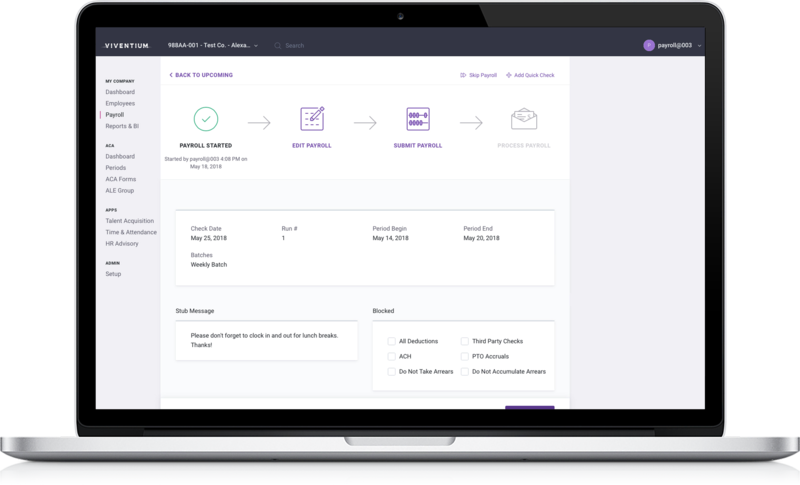 Whether your organization needs software for payroll processing, a human capital management solution, or some combination in between, our customizable and intuitive easy-to-use software will save your organization time and money. The Viventium software will transform the way you do business every day, so you can get back to what matters: your business. We know there are many different ways you can handle payroll and HR today. What makes our HCM solution the best choice? If your goals include protecting your business from reputational damage as it relates to compliance, providing a great employee experience at work and reducing time spent on administrative tasks, then Viventium HCM software is your answer. We will help you mitigate compliance risk, provide a great employee experience on payday and save you time and money on employer-related tasks that are a byproduct of being in business, not the reason you went into business in the first place. 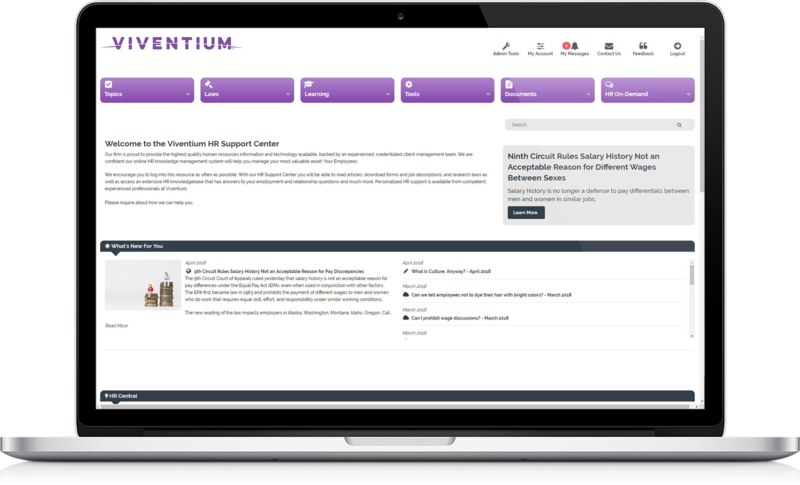 While our products are listed below, know that with Viventium HCM you will get the best user experience through our technology and industry experts to help you avoid errors and fines, communication tools to keep your employees from sweating the small stuff, and automation to eliminate manual work. 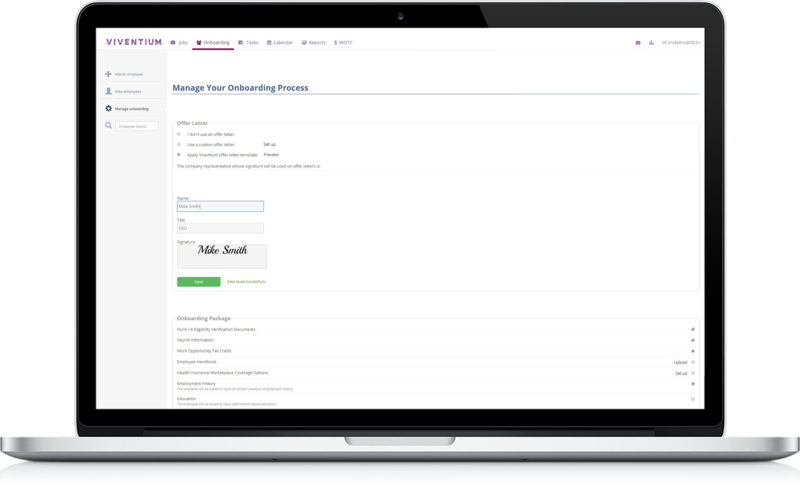 From applicant tracking to onboarding to time and attendance to payroll to business intelligence to human resources – we have the products and solutions to make it easier to employ your company’s greatest asset – your employees. After all, happy employees mean happy customers. When you need to hire new employees, you need access to job boards and social media sites. 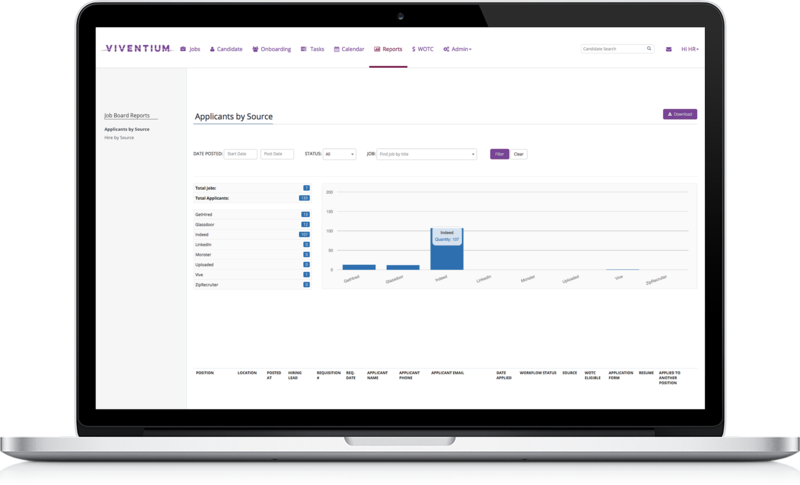 Then, you need a searchable resume database, an ability to prescreen candidates with video and audio, and an ability to schedule interviews with candidates. Take a look at our technology. Once you hire an employee, the fun begins – HR paperwork, setting expectations, and getting your employee into your payroll system. Skip the paper and go electronic. Tracking time is so much more than a time clock. In order to effectively calculate payroll, you need your time & attendance software to fully integrate with your payroll software. Employees work hard for their pay – so why leave payroll to chance? Our proprietary software is intuitive, customizable, and can handle everything from the simple to the most complex. A report is a report, right? Wrong. 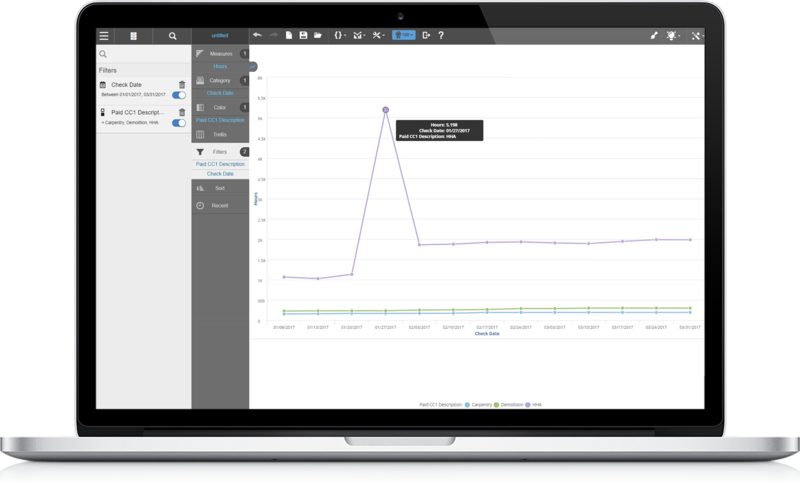 When you can create reports via drag-and-drop with over 15 visualization options that are created in real time, that's reporting. Once you hire employees, you need HR. So, whether you have a SHRM-certified HR Director or not, you need access to updated HR forms and documents, compliant job descriptions, handbook policies, and even a human being to actually talk to. Reduce the time to hire by up to 90% and become more efficient by using background checks, E-Verify, and WOTC screening. Customize your hiring experience with your company’s branding. Offer letters, I-9s, and W4s, oh my! Collect these necessary documents and store employee files in the cloud, while making a great impression on your new employee. From recording time through straightforward web clocks and mobile apps to more complicated timekeeping that incorporates scheduling, job costing, shift differentials, and reporting, you will experience a dashboard that keeps time simple. Of course, we will calculate, deposit, and file your taxes accurately and on time – but we will also help keep you in compliance with ACA, and we'll give you a vehicle to store employee documents and a dashboard with single sign-on access to all our other apps. And let's minimize the number of questions you get by giving your employees access to their paystubs via our Employee Self Service (ESS) app. With our Business Intelligence tool, you could compare, contrast, measure, and execute a plan more strategically by analyzing all payroll data within the Viventium platform. Like what? Turnover, departmental costs, month-over-month, year-over-year – the possibilities are endless. Protect your bottom line and grow employee engagement with the right HR tools and people. With the average employee lawsuit settling for $125,000 and typically taking a year to resolve, it's smarter to be proactive these days.